Is there violent crime in Mongolia? Violent crime against tourists is rare. It exists not more than in any other city around the world. Very few tourists have encountered violent crime. 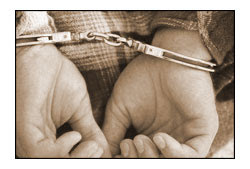 In most cases, it turns out the violence occurred around a bar when both parties involved in the incident were drunk. This happens also in London, NY, Berlin, and Sydney. 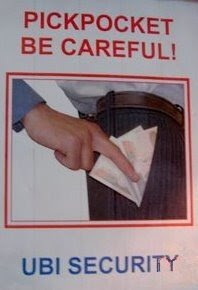 Is pick pocketing a problem? Unfortunately it is rampant in Ulaanbaatar and in some of the other towns. It is not an issue if you understand how they work, and how to protect yourself. The professional pickpockets know how to choose their targets. Don't YOU be the one they choose. They work in teams, and use the same techniques you might have seen on a pickpocket show on TV. Best scenes are where people are busy achieving a goal in crowded areas. Examples: standing in line to get into some place, getting into a bus or entering a market, paying at a cashier, or watching some event. Step 2 Locate a target. The best targets are tourists who have bags hanging on their shoulder or pouches around their waists. Watch when the target pays, see where the target keeps his wallet. Your teammate diverts the tourist's attention while you do the dirty work. If your target intends to get onto a cashier line, or get onto the bus, or enter a market, you get in front of the target, and your team mate positions himself behind the target. Your team mate pushes gently, as if he was pushed from behind. When the target looks back, your teammate also looks back getting mad that people are pushing. This diverts the target's attention. While the target is busy trying to understand what is happening, you should be out with his possessions. They are named pickpockets, meaning they find stuff in pockets. The simple and best protection is to have empty pockets. Keep nothing of value in your pockets, not even zipped pockets. Money belt is a must. Keep it on at all times. Go to the shower with it, sleep with it. Keep the cash you need for the day in a purse hanging around your neck, kept inside your shirt. Never pay from your money belt. Before paying at a cashier, go to some corner, take out the cash you will need and hold it in your hand when you get on line. Don't get into a line where you might get pushed around. If possible, wait until there are fewer people in line. Map of known pick pocketing locations in Ulaanbaatar. What is the Mongolian police doing about this? The police are trying to stop this type of crime. To prosecute a thieve they need your testimony in court, will you return to Ulaanbaatar to testify? The pick pocket thieves know you won't. Columbia in the US makes a great pickpocket proof shirt. It has many pockets all of which have Velcro covers. The pocket on the left chest has underneath it a zipper which when opened leads to a compartment which is about 10 inches long. this means if you put your wallet in this compartment it falls down and is held about the level of your naval. it is impossible for a pickpocket to get to it. I used it the motherland of pickpockets in Bucharest Romania. I walked calmly in crowds and could feel people touching me but if you keep your arms in front of you they cannot feel your wallet and even if they did they could not get to it. it is even hard to retrieve it yourself. It would be easier for them to steal your liver. I love this shirt and feel very comfortable in it.